Caledonia County is situated along the Connecticut River in Northeastern sector of the state below Essex County. The County is 658 square miles with a population of approximately 31,166. 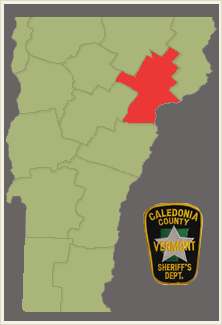 The county Shire Town is St. Johnsbury. The county was given the Latin name for Scotland, in honor of the many settlers who claimed ancestry there. Some of the older dates could be a year or two off.